This 4-bedroom apartment in Cinecittà has couple-friendly rooms to rent with ensuite bathrooms. The 110 m² property is equipped with AC, gas heating and offers a fully equipped kitchen. 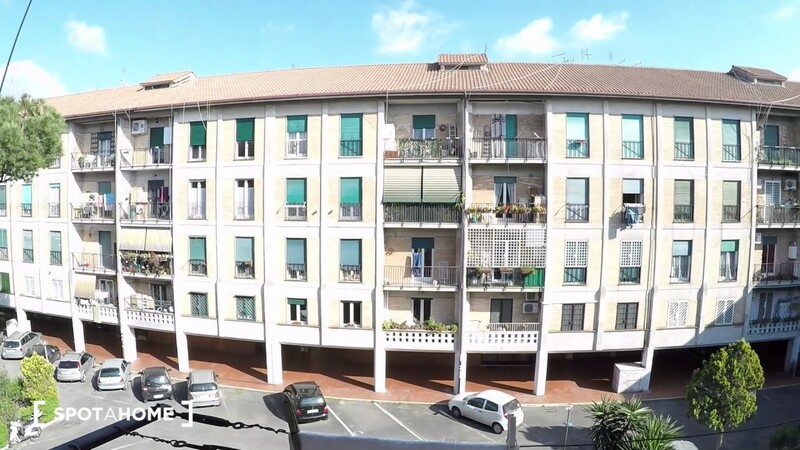 The apartment is located a short walk from beautiful Parco degli Acquedotti, shops, restaurants and other amenities. Cinecittà Studios and Via Tuscolana area also nearby and you can access the metro in 6 minutes. Each bedroom has an ensuite bathroom and a television. Bedrooms 4 has a bunk bed making it ideal for friends travelling together. The kitchen comes with all that is needed to cook. Università degli Studi di Roma Tor Vergata is a 10-minute drive away. The apartment is on the 3rd floor and there is no elevator. Subaugusta metro station is a 6-minute walk from the apartment and serves line MEA.